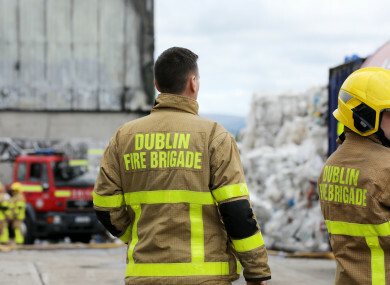 SIPTU MEMBERS IN the Dublin Fire Brigade have called again for a full risk assessment of properties built or extended during the Celtic Tiger period due to fire safety concerns. The call for this review comes after a large number of fire safety issues were discovered in a recent survey of apartment blocks built between 2000 to 2014. The Irish Times reported today that one of the largest property management companies in the state, Keenan Property Management, has said that significant fire safety issues had been discovered in “almost all” of the 60 apartment developments that it manages. Siptu Sector Organiser, Brendan O’Brien said that this was a “stark, but unfortunately, not an unexpected finding”. “The company must be commended on the proactive approach which it undertook in the wake of the Grenfell Tower tragedy in 2017. Local authorities need to show the same degree of concern and undertake a similar survey of all commercial, leisure, nursing and hospital buildings constructed or extended during the period when so-called ‘light-touch regulation’ was at its most extreme. Siptu’s Dublin Fire Brigade Convenor, Shane McGill, said that a particularly concerning aspect of the survey for the lives and safety of firefighters, was “the lack of proper compartmentation in many of the buildings surveyed”. “Local authorities must act now in order to ensure we do not experience a preventable fire tragedy in this country,” Deirdre Taylor said, who is Siptu’s DFB section chair. Email “Siptu firefighters call for fire risk assessment of all Celtic Tiger buildings”. Feedback on “Siptu firefighters call for fire risk assessment of all Celtic Tiger buildings”.